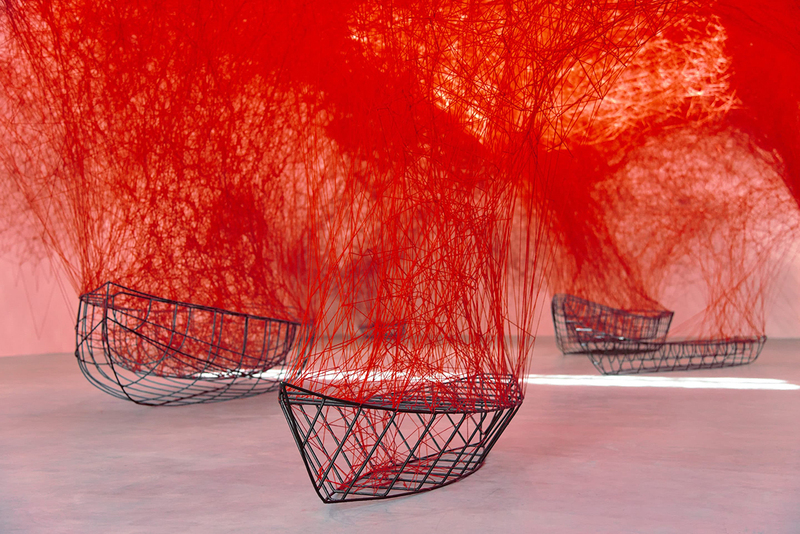 Chiharu Shiota’s fexhibition centres around a new site-specific installation, along with sculpture and works on canvas. 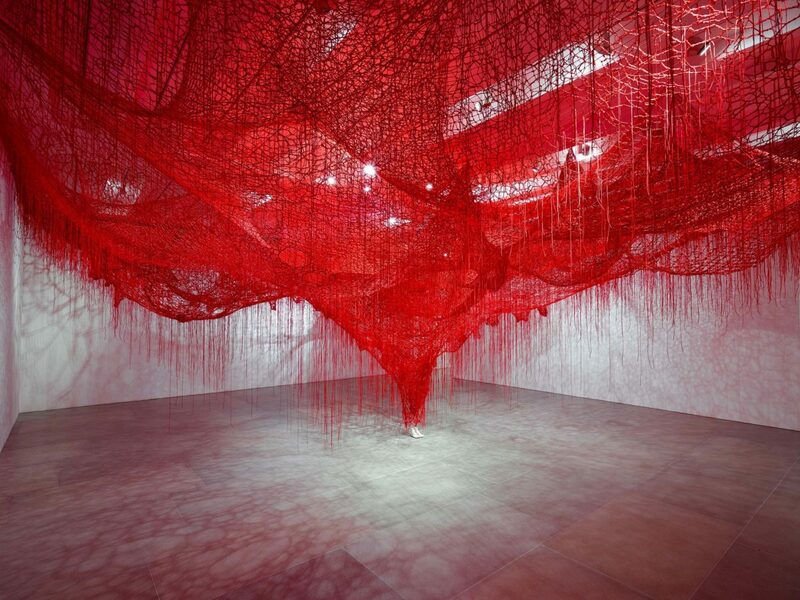 In the titular installation, Me Somewhere Else, Shiota creates a vast net of yarn, which is suspended from the gallery ceiling and connected to the floor by a cast of the artist’s feet. 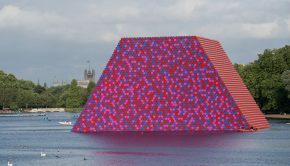 The blood red of the yarn is laden with symbolism, from the neural pathways in the human brain to the connections that bind us together.